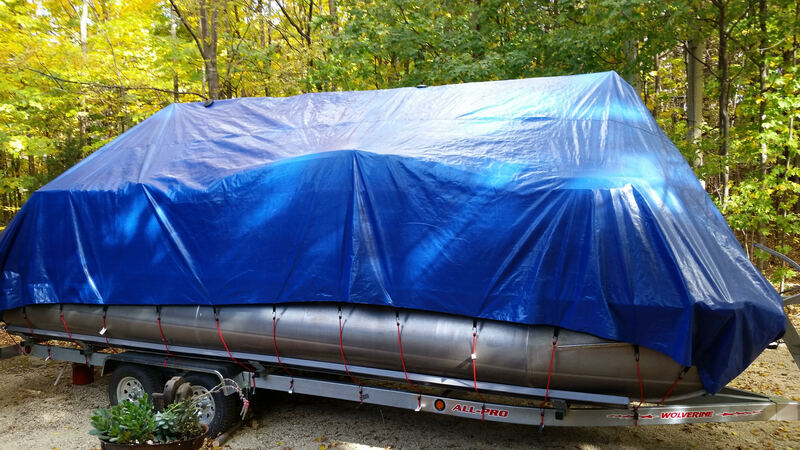 Stop wasting your money shrink wrapping your boat year after year. It is bad for your wallet and bad for the environment. The big blue tarps from the box stores normally fail after the first big snow – they are just too thin. 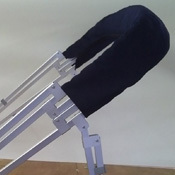 Your normal cover just isn’t made to keep heavy snow off – its going to rip. Buy a product that was made for the outdoors and brutal cold. Made to stand up against the big snow falls. 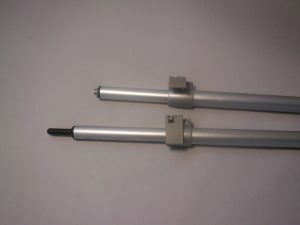 Heavy duty 1″ poles hold up the middle of the cover. 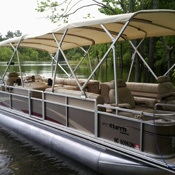 Heavy duty webbing connects each pole together and also connects the poles down to the side rails through cam locking buckles. Our covers are made from 6oz 12 MIL high density polyethylene woven fabric which is a material that is made to be in the elements. It is made to be in the snow. Our thread is an anefil poly blend with UV protectors built in to ensure even the thread will not break down any time soon. We reinforce all the way around the cover with a double hem and sew down tie downs in each corner and every 36”. We don’t use grommets because let’s face it they are going to pull out over time. 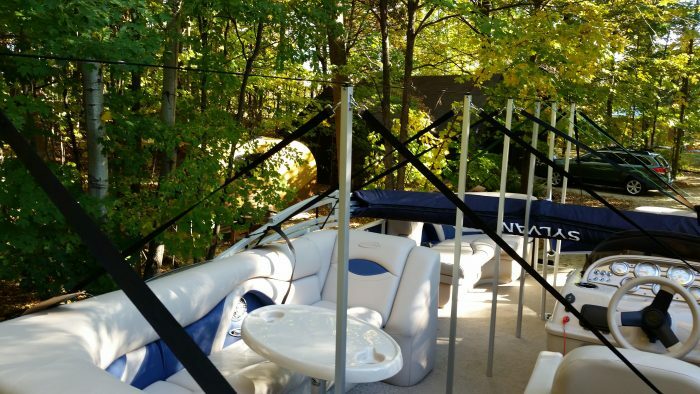 Drape this cover over your winter frame, attach your rope or bungee cords to the tie downs and secure them to your trailer or around your pontoon. 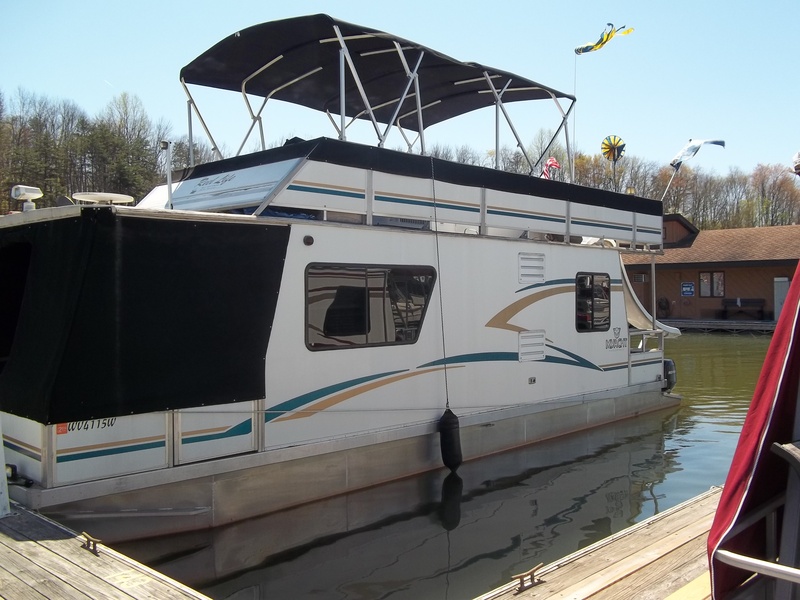 Now your boat is ready for winter and you have time to go watch football! 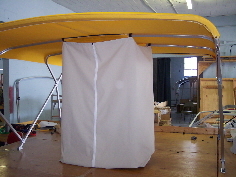 These covers are plenty big enough to cover your boat from front to back and side to side while still allowing enough material to be “tented” in the middle to make sure the snow falls off. You will be able to use the same cover for years saving yourself a bundle. Our system uses sturdy poles, straps and heavy duty material made for winter to make sure your boat stays protected for its long winter nap. 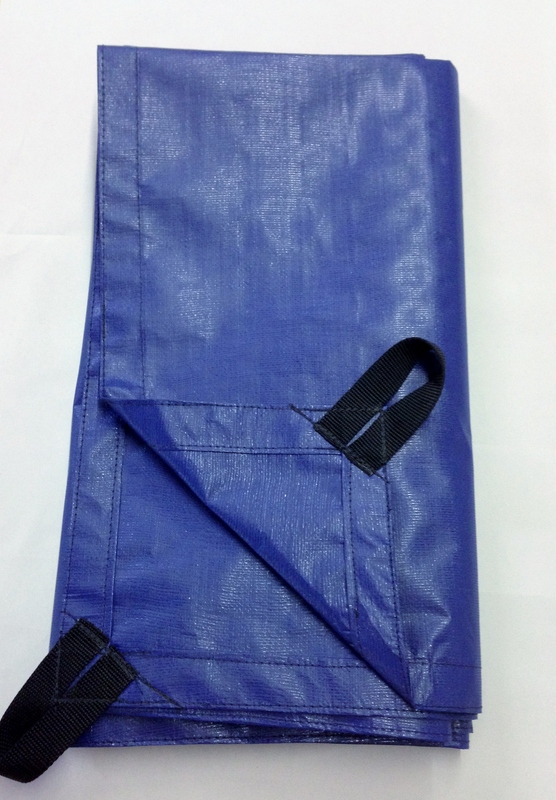 The material we use utilizes heavy weight 1” webbing loops on all corners and every 3’ all the way around the cover. 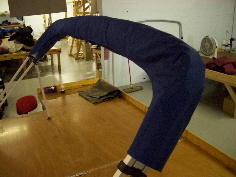 We sew in reinforcement all the way down the center to improve strength in needed areas. The strapping is heavy weight poly propylene webbing with heavy duty stainless steel buckles. 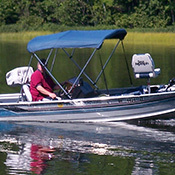 The poles snap into the webbing that runs from the front to the back of the boat. 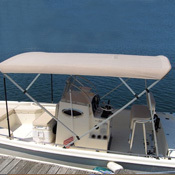 Adjustable straps hook onto the poles near the top and will loop around the top rail of your pontoon boat. Once you pull all straps tight with our adjuster built into each strap you have a rock solid frame for the material to go over. Pull the material over it and tie it down. (rope sold separate). Installation is easy. 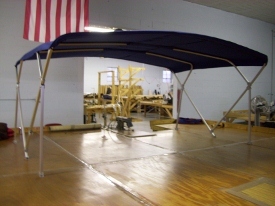 Tear down is a breeze and very easy to store.